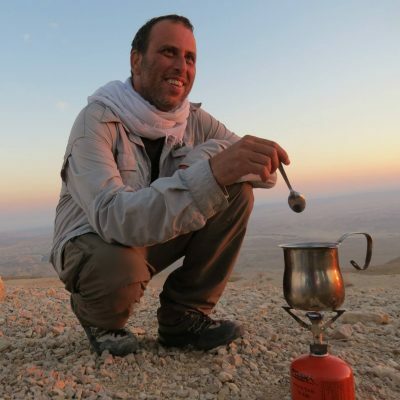 Stephen Rubin is a licensed Israeli tour guide through the Ministry of Tourism, journalist and self-proclaimed coffee baron living in Holon, Israel. He is passionate about Israel’s great outdoors, unique multiethnic dimensions and endless culinary secrets! Stephen holds an M.A. in Diplomacy and Middle East Studies from Tel Aviv University and is a co-founder of Finjan. 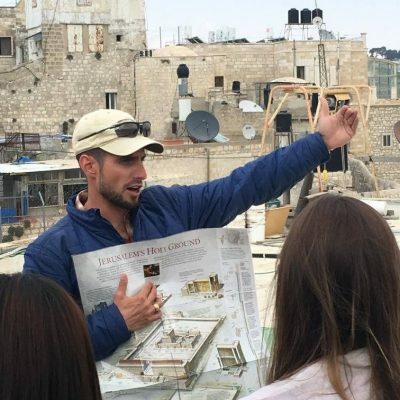 Ariel Lasman is a licensed Israeli tour guide through the Israeli Ministry of Tourism. He is an outdoor specialist, geographer and co-founder of Finjan currently living in Tel Aviv, Israel. You can often find him leading travellers through Israel’s deep desert canyons and self-discovered, alternative travel destinations across the country. He holds an M.A in Geography from Bar-Ilan University and is one of the co-founders of Finjan.